We are now Lake District wedding photographers but still love photographing weddings in Sheffield & Autumn is my favourite time ever – even photographing weddings on my birthday is fun and Alex & Lindsey had a fantastic wedding day at the stunning The Maynard in Grindleford. While Alex was downstairs having a nice brew Lindsey and her bridesmaids were excitedly getting ready – Lindsey looked amazing in her dress and I love her Irregular Choice shoes! The ceremony was lovely with lots of laughter and a few tears before guests headed out for photographs – it wasn’t too cold! Alex and his groomsmen rocked their posing skills! We had a little time after to head up to Surprise View for some photos with the stunning Peak District views. How beautiful does Lindsey look with her wrap and long veil. The evening kicked off with dancing and cake. Lake District wedding photographers Paul & Helen love to photograph weddings in Cumbria and the Lakes. 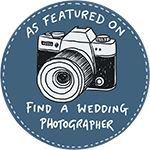 We also photograph weddings in Sheffield and all over the UK.